For anyone who needs to take a pregnancy test discreetly, Lia is here for you. The first flushable pregnancy test, which was created back in 2015 by two UPenn grad students, has now been cleared by the FDA for over-the-counter sales. 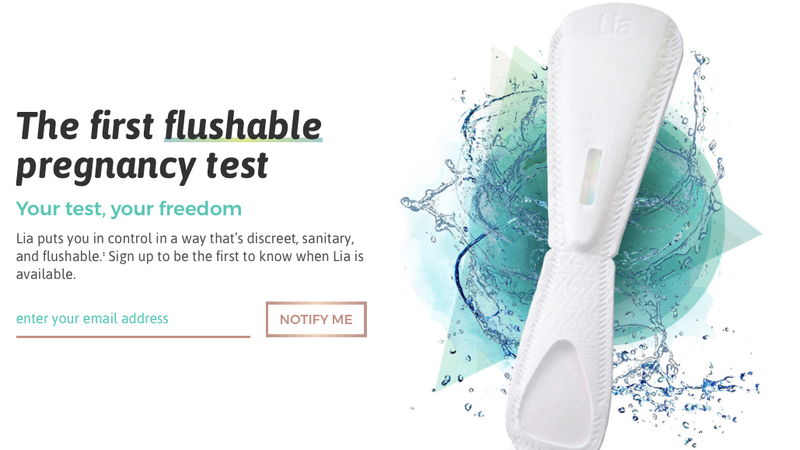 The company received FDA clearance for its Lia test, which basically works like an old-fashioned plastic pregnancy test but made with natural plant fibers, like toilet paper. The idea is that the test is more secretive than the traditional, clunky popular plastic ones, because rather than throwing it in the trash for someone to discover it, you can just flush it right away! And because it’s biodegradable, Lia argues it’s safer for the environment than the plastic tests. While I assume it will be hard to get women to trust any new sort of pregnancy test (as it has been for decades), and you certainly wouldn’t want to frame one as a keepsake, fluffy, flushable pregnancy tests might be our future. Correction: A previous version of this post identified Lia as being FDA approved. It has actually been cleared by the FDA. Jezebel regrets the error.